Campingplatz Gaisweiher is a campsite in Flossenbürg, Bavaria, located by a lake/recreational pond.This terraced camp site has which are marked out, pitches with shade, pitches without shade and pitches with some shade. It is possible to rent caravans and rooms. The campsite has a playground and a sports ground. This inspector visits Campingplatz Gaisweiher every year and inspects the campsite on the basis of more than 200 amenities and other points of interest. The inspector is an ACSI staff member and does not work for the campsite. 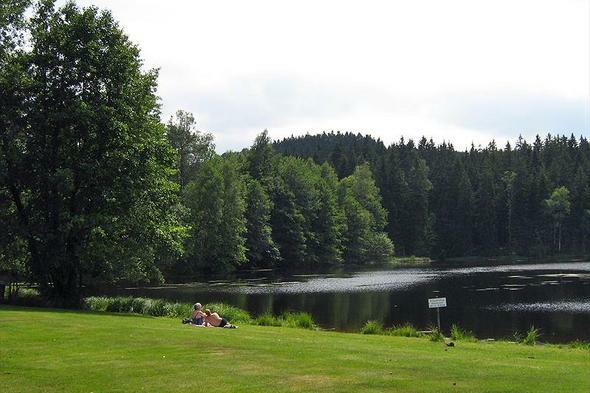 Would you like to book Campingplatz Gaisweiher or request more information? You can do both using the information below. ACSI Eurocampings will send your information request to "Campingplatz Gaisweiher".